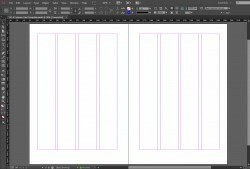 A great introduction (35 minute video) by Andreas Nørgaard to using baseline grids in Indesign. Learning how to properly create and use a baseline .. This is a short and simple step-by-step tutorial by Academyclassblog on how to use the gridify tool in Indesign CS5 to quickly create .. The golden grid is a system based on the famous 960 grid system. The golden grid adds horizontal guides to the 960 grid system that makes ..
A beginner video tutorial that teaches you how to design to a grid with InDesign. In this tutorial Shawn Barry explains how to establish ..
A short (2 minute) video tutorial on how to make modular and multi-column grids in indesign. 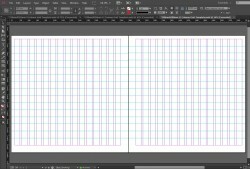 Jo Gulliver (art editor of Computer Arts magazine) explains, in a step by step tutorial, how to create grids for magazines using InDesign. 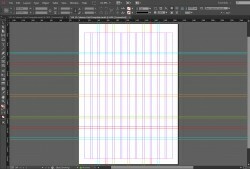 A free InDesign A5 4 column grid template by crsindesigntemplates. Dimensions: A5 8.27 x 5.83, 210x148mm. Here’s another free grid template by crsindesigntemplates to make your work a bit easier. It’s a 15 column 280mmX280mm template. This is a free adobe indesign 12 column grid template by crisindesigntemplates. Dimensions: A4, 8.3×11.7, 210x297mm.